Bollywood actress Alia Bhatt has just upgraded from the Audi Q5, and in a big way. The actress has bought a Range Rover Vogue luxury SUV, a vehicle that costs more than twice as much as the Audi Q7, which is already a costly one. The other luxury car that Alia has been frequently seen in is an Audi A6 sedan, but it’s owned by her father – Bollywood director Mahesh Bhatt. The Range Rover Vogue is powered by a 3 liter V6 turbo diesel engine, which outputs a peak power of 240 Bhp and a peak torque of 600 Nm. The gearbox is an 8 speed automatic, and a full time four wheel drive system is standard. Land Rover’s Terrain Response system is also standard on the Range Rover Vogue. It also gets three other engine options – an entry-level 3 liter V6 petrol with 335 Bhp-450 Nm, a 4.4 liter V6 turbo diesel with 335 Bhp and 740 Nm and the range-topping 5 liter supercharged V8 petrol with 503 Bhp-625 Nm. The Range Rover Vogue is available in two body styles – regular wheelbase and long wheelbase. Alia’s version is said to be the long wheelbase model, whose on-road price is around Rs. 2.1 crores. The shorter wheelbase model is around 15 lakhs cheaper. Most buyers prefer to opt for the long wheelbase model as it offers more legroom to passengers at the rear. Buyers of such SUVs are generally chauffeured around, which makes the extra legroom at the rear quite an important purchase consideration. 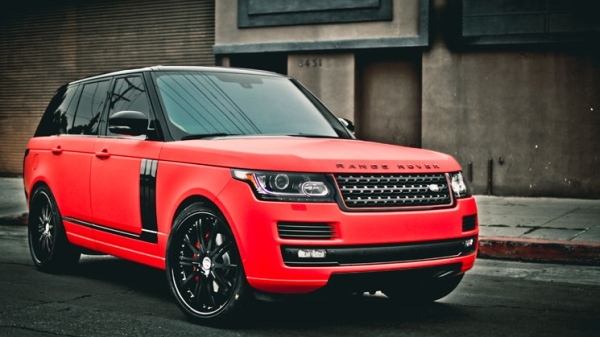 All variants of the Range Rover Vogue are imported as CBUs from the United Kingdom. The reasons so many rich buyers and celebrities opt for luxury SUVs has to do with street presence, a high seating position, spacious and comfortable interiors and also good ground clearance. In India, low slung luxury saloons often scrape their underbody on speedbreakers and potholes. SUVs face no such problems and are therefore more suitable for Indian road conditions.